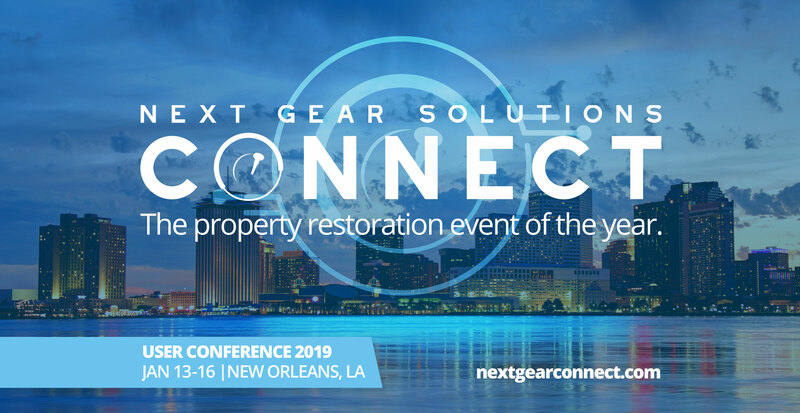 Oxford, MS, Feb. 5, 2019 – Next Gear Solutions, developer of the leading job management software solutions in the restoration industry, is proud to announce its second annual user conference, Next Gear Solutions CONNECT 2020, once again to be held at the Hyatt Regency in New Orleans, LA, January 14 – 17, 2020. Last month, Next Gear hosted a very successful inaugural user conference with their innovative approach to presenting role-based sessions, most of which filled to capacity. Many 2019 attendees are already planning to return to New Orleans in 2020. So, it is with great pride that Next Gear Solutions CONNECT 2020 User Conference will take their tailored role-based curriculums to the next level by adding a team collaboration dimension. The 2020 vision is to have attendees connect with the rest of their company after each of their own role-based track sessions in order to tie everything together, promoting the common goal of getting focused on the vision of 2020 as a team. The role-based sessions Next Gear plans to offer at CONNECT 2020 are focused professionals in the restoration industry that are responsible for Finance and Accounting, Administration and Coordination, Field Tech, Project Management and Estimation, Sales and Marketing, General Management, as well as Owners. The Next Gear leadership team and product specialists will lead the sessions with years of industry knowledge and encourage participants to engage each other and share their own best practices, while being able to easily connect with the Next Gear team onsite. Garret Gray, Founder and CEO of Next Gear Solutions, will open the conference with a keynote address that will set the tone for the event: Move from hindsight to foresight and get focused on your 2020 vision. 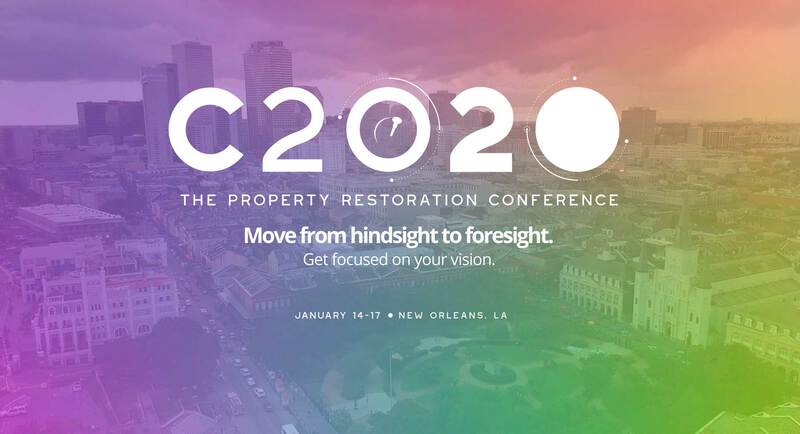 Not only does CONNECT 2020 want to create opportunity for restoration contractors and industry professionals to collaborate with the Next Gear team, industry leaders, and their peers, but also focus on making the connections within each company to keep moving toward growth and positive change as a team. Brandon Burton, the VP of Technical Application at Next Gear and the recently named the IICRC Standards Chairman, will lead the Field Technician Track with over 20 years’ experience in the restoration industry. He is an IICRC approved instructor in the categories of Applied Structural Drying and Water Damage Restoration and will encourage industry best practices and technology development to each field technician attendee. For a full look at the CONNECT 2020 agenda and more, visit nextgearconnect.com. Next Gear Solutions, based in Oxford, MS, was established in 2008 with a mission to take restoration companies paperless, automate their workflow, and bring efficiency to the entire business operation. Since 2009, Next Gear’s software suite has grown to include solutions for managed repair networks, franchisors, and other insurance solutions. Next Gear is the leading technology solution for the restoration contractor space with the largest footprint of best-in-class restoration contractors in 5 countries.